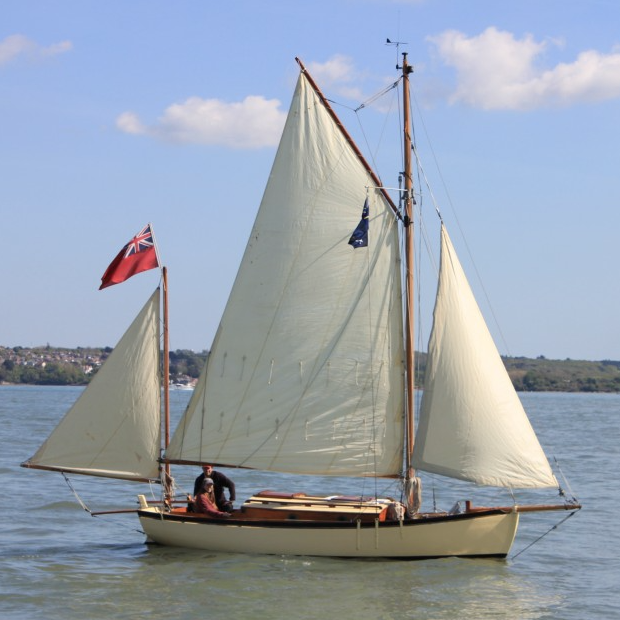 Little Kingfisher may be old but she's in tip-top condition, having been completely re-furbished by shipwright Paul Drake in Tollesbury in the years leading up to 2009. She's frequently to be seen in the Solent. She was one of the nine Harrison Butler boats that gathered on the Newtown River in July 2014. Along with her husband Dan, Little Kingfisher is owned by Hannah Mathews, neé Cunliffe. 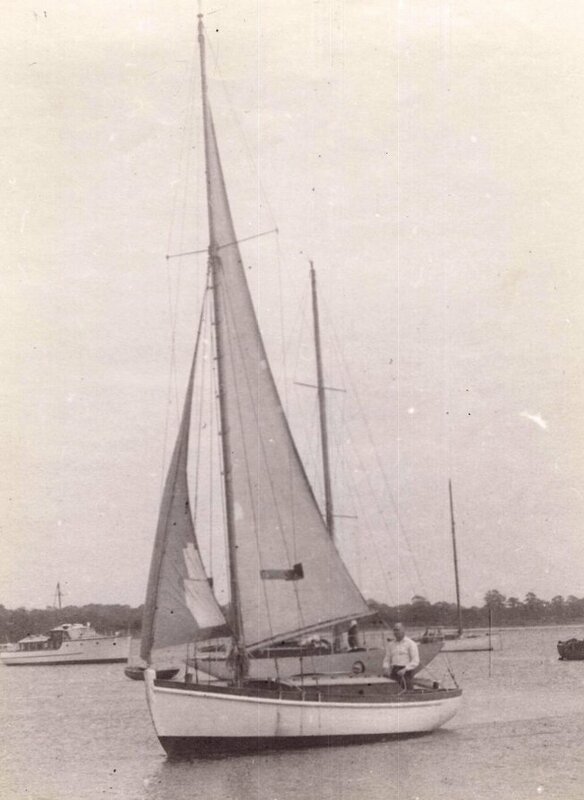 She is the daughter of sailor, writer and broadcaster Tom Cunliffe. Little Kingfisher is a good size for a couple, but with a growing family Hannah and Dan have decided that they need a bigger boat; Little Kingfisher is now SOLD. Before World War II, Kingfisher (as she was then) was sailed to Scandinavia. Unfortunately she was left behind in a fjord when war broke out. To make matters worse she was ice-bound for a time which roughed her up, and distorted her shape. However, once the war was over she was rescued by an Army Officer who had her transported back to the Isle of Wight in an Army lorry.